StroBeam, the British photographic supplier known for its high-speed flash heads, is no longer trading. The brand’s web site and eBay shop are currently inaccessible and official records say the Leicester-based business is insolvent. Flash heads from the company often featured unconventional designs coupled with innovative features, such as the boxy fast-triggering D4 HSS IGBT head or the ultra-compact DL250 Mark III location light, both manufactured by CononMark. Some photographers praised the devices but others criticised relatively high unit prices. According to Companies House, Strobeam Limited has entered voluntary creditors’ liquidation and was wound up on 16th August 2013. Just five months earlier, company director Shyam Ramnani was exhibiting new StroBeam products at the Focus On Imaging 2013 trade show. 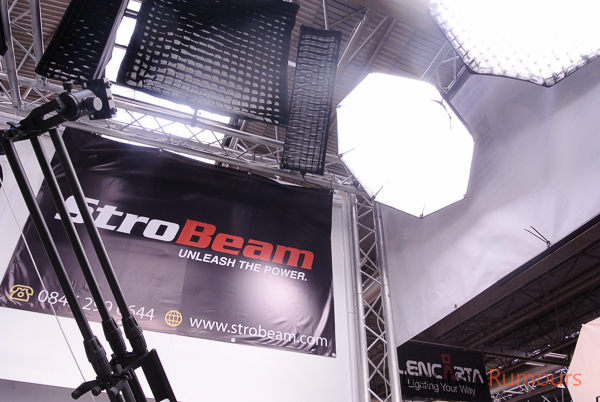 Various retailers including Wex Photographic and Viewfinder Photography list StroBeam products in stock. Viewfinder customers are covered under the seller’s standard warranty. company, industry, liquidation, Strobeam, Strobeam Ltd.